It has been a while since I posted a recap of what is going on at HockeyStrengthandConditioning.com. Before I get into the most recent content, I want to give you a brief overview of what we have going on so far in 2011. – We added Darryl Nelson to the staff. Darryl is an excellent addition to the site as he has done an unbelievable job coaching with the US National Developmental Program over the years. There are many players who Darryl has coached that are now playing in the NHL. We are really looking forward to reading Darryl’s contributions. – We are going to provide our members with a youth hockey training section that will consist of workouts and videos so that youth hockey coaches can easily implement the programs into their teams’ training programs. This is going to be a great section. 4 Summer Phase 1 Without Olympic Lifts by Mike Boyle. This is a program that Mike did last summer with his athletes who don’t olympic lift. I really like reviewing these programs as I know what it is like to have athletes who can’t do certain lifts. Great program from Mike. My Road to the Top by Mike Boyle. This was an article that Mike originally put on his blog. I felt that this was a must for the site. 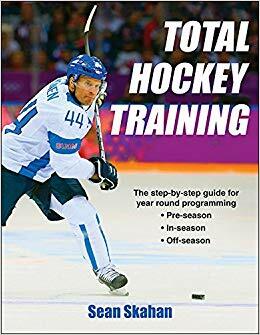 Any young strength and conditioning coach who wants to train hockey players needs to read this. Mike talks about how hard work allowed him to be successful in this profession. Funny that there is no mention of the Internet on his road to the top. In-Season Core Phase 3 by Sean Skahan. In this program, I outline what we are currently doing with our players for our in-season core training. We would like to put up more real-time programs to show what we are currently doing at different parts of the year. Last but not least is our video of the week which is Mike Potenza’s Table Stretching. Mike shows some great stretches that he uses with his guys. We use many of these variations with our guys as well. Great video from Mike.